Tradelines: An ultimate guide to understanding tradelines. Tradelines are accounts in your credit report and it’s a term that refers to increasing credit scores by adding authorized user “tradelines” to your credit report. There’s a lot to know about this process, so we took the time to write the following information for you. Everyone’s heard of “co-signing.” But, did you know you can share credit scores, too? It’s called tradelines. It’s a little-known credit enhancement technique authorized by federal regulation. We cover tradelines from soup to nuts, below. Here’s a quick, 60-second video to sum up the page (a longer, more thorough video, later). We want to start with a very basic understanding of what trade lines are so that the rest of this page makes sense. You can skip this section if you find it too elementary, but we would suggest taking just a moment to read through the next few paragraphs. Let’s start with credit, generally. What is credit? It’s literally nothing. It is a made-up system that we use for banking. Lenders use this system to evaluate potential loans. Our credit system, however imperfect it may be, allows our lenders to be efficient. Generally speaking, you begin to have credit as a young adult. So let’s start there. Technically, you start with a blank page. Literally, a blank page because your credit report will have nothing on it and may not exist at all. In order to establish credit and generate a credit report, you will have to apply for an obtain a line of credit, of some sort. Typically, when you first start to establish credit, you will apply for a small credit card. Capital One hands them out like candy. Otherwise, most people start with a secured card. Side note: Some banks, like Capital One, will give you a line of credit even if you have a thin credit file, meaning you have no history with credit. Even though you have no credit, they can approve you because they trust you and the line of credit is purely based on their trust and belief that you will pay them back in you make charged on that credit card. This is an unsecured line of credit. In cases where you are not approved, you can typically get a local bank or credit union to give you a secured credit card. In this case, you will secure the line of credit by handing them cash rather than them giving you a line of credit based on trust. This is a secured line of credit. The difference between an unsecured and secured line is that the former is based on trust while the latter is based on pre-paying for a card. Both are “tradelines”. When you do this, that account and your payment history and behavior you establish with it gets reported from the creditor (i.e., the bank, etc. that gave you the line of credit) to credit reporting agencies. These are typically referred to as the “credit bureaus.” Legally, they’re CRAs, or credit reporting agencies. They are the ones that maintain the database of information referred to as credit reports. You may recognize their names as Experian, Equifax and TransUnion. Those are all examples tradelines. First, we should observe that the term tradelines is searched quite often. 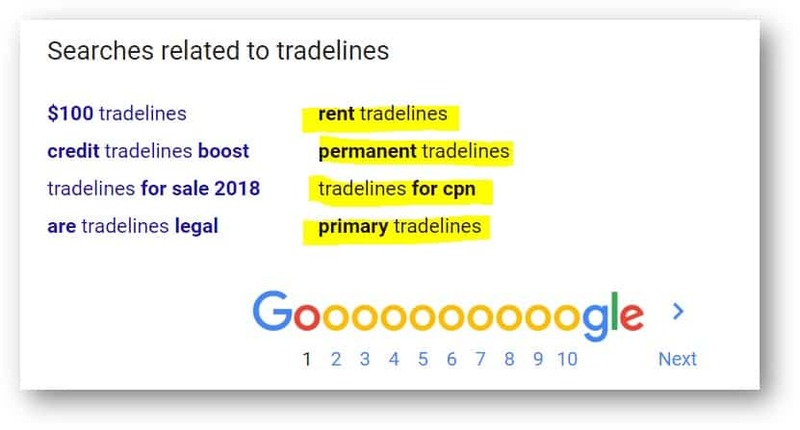 In fact, searches for the term tradelines has increased dramatically over the years. Here’s an example of Google Trends on tradelines. We all know that the definition of a tradeline is an account that appears in your credit report. And now, because of the previous paragraphs, you know why. You have a fundamental understanding of what tradelines are. But, that’s not why you’re here. You’re here because you want to know what trade lines are in relation to improving your credit and being approved for some other line of credit like a business loan or car or house. In that regard, we are not talking generally about some previous account already appearing in your credit report. Instead, we are talking about adding seasoned accounts to your credit report for the purpose of increasing credit scores. Don’t confuse the many names. There are a ton of articles out there using different keywords unnecessarily. Regardless of the keyword, adding trade lines to increase credit scores is one thing no matter how many different names we use to describe it. 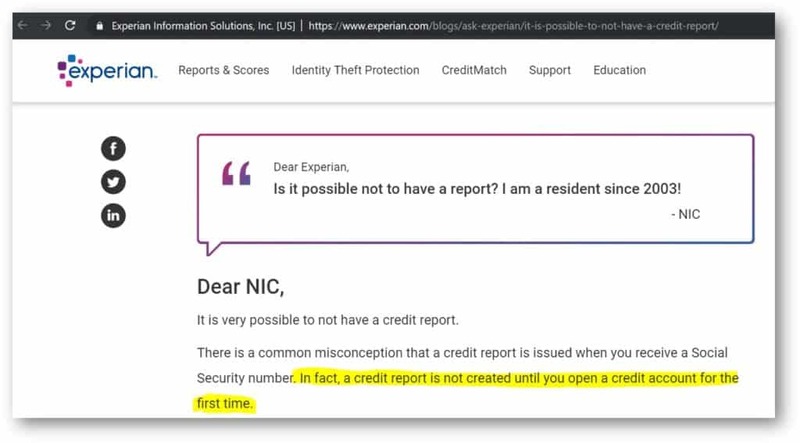 Please remember this: when we’re talking about trade lines in general, we’re just talking about an account that appears in your credit report. When we’re talking about tradelines for the purpose of increasing credit scores, we’re talking about seasoned tradelines, piggybacking credit, authorized user accounts, etc. Pretty much for the rest of this article, we will be talking about increasing credit. About tradelines for credit improvement. We need a little bit of history. Here’s a little bit of background on tradelines for credit improvement. We promise not to throw too much wonky governmental studies at you. But, this is the be-all and end-all to tradeline information. Rather than regurgitating the study, it is cited below. The study, titled “Credit Where None Is Due,” was conducted by the Washington DC. It reviewed the practice of piggybacking credit. I.e., improving credit scores through the use of authorized user accounts. I encourage you to read just this first paragraph from the study, below. The law (and regulation) require that information about authorized user accounts be reported to credit bureaus. Becoming an authorized user can increase the authorized user’s credit score. You can buy authorized user accounts from companies and/or individuals willing to add you for a fee. How can I get added as an authorized user to (a) seasoned tradeline(s) for the purpose of increasing my credit score? Here’s the good news and the good news: First, tradeline questions from here start to get narrower (more focused). Second, the answers to these questions start to get easier. Even so, this is the most important section. We’re going to explain how you can add tradelines to your credit file to increase your credit score. We’re going to explain where you can buy them. But most importantly, we’re going to caution you against practices that have harmed consumers. There are primarily two ways to add tradelines to your credit report. First, you can ask a friend or family to add you as an authorized user to one of their credit cards. Second, you can buy authorized user tradelines from a company. If you’re asking a friend or family to add you as an authorized user, that’s a little bit risky. It’s risky because the card you’re added to might not be in good standing. And, even if it is in good standing, it might not be the appropriate tradeline to positively affect your credit and credit score. Buying tradelines from a company can be risky if you’re working with an unprofessional and unprepared company or rip-off artist. Note: While it is possible to get added onto a friend or family member’s tradeline, we would not advise this course of action. It is crucial to know the payment history, limit, and length the tradeline has been opened so that you can figure out how it will affect your score. People often ask for advice about adding these tradelines, but it is hard to give detailed advice when you don’t know any details of the situation. You are essentially paying to “piggyback” off the credit of someone else. It’s similar to co-signing, but in this arrangement, you have no repayment responsibility. 1. You research a tradeline company with which you want to work. We will discuss how to find and hire a legitimate tradeline company (or more accurately, how to avoid an illegitimate tradeline company), below. 2. You contact the tradeline company. Sometimes it’s better to stop reading and second guessing page after page and just hop on the phone with a company. Plus, you’re never really going to figure out what you need, etc., without talking to someone. 3. You and the company discuss your credit goals (house, etc.). This is the most important thing: If the company you’re talking to didn’t start with your goals, they care more about taking your money than your goals. Also, this goes for you, as well. If you’re not putting your goals first, you likely won’t achieve them. Neither you nor the company should be experimenting. You both should be strategizing. Just like discussing your goals and being purposeful, you need to discuss some of the derogatory information in your credit report. Why? Because some negative information can limit the positive impact of the tradelines or prevent tradelines from working, entirely. This is just as important as your goals. Think about: if the tradelines do not work, then even the “best tradeline prices” are worthless. 5. The company makes a recommendation (which tradelines). This is usually what separates a good tradeline company from a bad tradeline company. The recommendation of a tradeline company should make sense based on your goals and your current credit situation. If the company with whom you’re working is shoving good deals in your face and not talking about your goals, they just want your money, not your success. 6. You sign agreements (which include rights and cancellation notices and forms). We’re not going to go into too much detail here, but there are some legal requirements for signing Credit Service Organization agreements. You have certain rights under certain laws, like the credit repair organizations act. In addition, the company has certain obligations under the same laws. …well, that’s a violation of the law. There are other things to consider, as well. A company will ignore you if a company will ignore federal law. A company that doesn’t collect your documents is likely not collecting other people’s documents either. This means they accept those who engaged in fraud (such as credit profile numbers, etc.). If they’re working with fraudsters, they’re likely fraudsters themselves and you will be associated with fraudsters. Obtaining verification documents is a sign of a legitimate company. You must provide copies of your license or state issued ID, credit reports, proof of address, copies of your Social Security card front and back, etc. 8. You purchase the tradelines (which includes placing money in trust, not the company’s bank account). Typically, you will fund a trust account and you will not pay the company up front. The company is entitled to the money in the trust account if the services are completed. Until then, you can cancel the contract during the statutory cancellation period, which is usually 3 days. Also, if the company doesn’t perform, you can request a refund or, in some cases, ask for the service to be performed again at no additional cost. That’s the goal, anyway. However, the way a company transacts with you is very important and can expose whether or not they are legitimate. While the services are pending, you can stay in contact with a company and ask them questions along the way. A legitimate company will be happy to answer your questions. A company that goes dark and stops communicating with you is a very bad sign. Once the services are complete, the tradeline will appear on your credit report. Then, you will have a new credit score at that moment in time. We’ve discussed tradelines, above. You should know what they are, how they help, where to get them, etc. But, what about what tradelines aren’t. That’s a horrible sentence, but an important one. Search engines are really good at showing relevant and linked content based on user searches. If you start down the rabbit hole searching tradelines, you might end up in some pretty weird places. In fact, you might end up in some dangerous places. So, here’s a very quick overview of some topics that we’ve discussed in detail elsewhere, but you should know about, here. Renting tradelines really means two different things. In the first case what we’ve been talking about all along. Boosting credit scores by being added as an authorized user to a seasoned tradeline. In the second case, renting tradelines mean something entirely different. There’s a new wave of companies convert your living residential rent into a tradeline. There’s no such thing as a permanent tradeline, not even a primary tradelines is permanent. The only people who discuss permanent tradelines are those trying to rip you off. They’re just pretending to sell you something different than that which someone else would sell you. There is no such thing as a permanent tradeline. If someone is advertising this, they are lying to you. We will discuss CPNs in a different article, but suffice it to say you should stay far far away from them. It’s 100% illegal, but that’s not to say you would get prosecuted. There is more than a 0% chance of prosecuted. People just add the word tradelines next to CPN because they’re trying to add tradelines to CPN (which are blank) to get a “fresh start.” You could also get a fresh start by robbing a bank, but that’s equally advisable. The meaning of primary tradelines is often confused with seasoned tradelines and piggybacking tradelines. Basically, people believe primary tradelines are better than authorized user tradelines. You cannot buy primary tradelines. To repeat: you cannot buy primary tradelines. Anyone that is suggesting they can sell you an age primary tradeline, is a criminal to the extent they can do it and a liar to the extent that they are clearly just lying. Note: There are some legitimate primary tradelines but they do nothing for credit so it’s not worth mentioning or pursuing. Like primary tradelines, there’s no such thing as business tradelines. People simply took the concept of adding tradelines to an individual credit report to boost credit scores. They’re created from the thin are based on assumptions that you could add tradelines to a business credit report. There is no law that supports this and no mechanism that allows it. There is no such thing as business tradelines. To repeat: there’s no such thing as business tradelines which you can purchase the boost your paydex score. I’ll just warn you up front so that you don’t feel tricked into reading this section. This section is really about how you avoid bad tradeline companies who are trying to rip you off by claiming they have the best deals. However, I will tell you how to actually get good deals on trade lines at the very end. The best deal on trade lines is a deal in which the tradelines you purchased achieved your credit goal. If you start with the price, you are ripping yourself off and there are many companies happy to assist you in doing so. We wrote a blog post titled “This is what happens when you buy $300.00 tradelines” regarding the bait and switch ad pictured, above. You should read it to find out why you should absolutely avoid these companies. The basic point is that if a tradeline company would lie at the beginning of the transaction, what makes you think the tradeline company would be more honorable after they got your money? But, why do they do this at all? Imagine that you were a company that sells tradelines. Let’s say you’re really bad at it. And suppose you have very few clients because you rank poorly in Google. And, finally, pretend that the clients you do get can sniff out your lack of preparedness and qualifications to help clients with their credit. You (the bad tradeline company, not you) would have no choice but to take advantage of people’s desire to pay less and offer lower prices to get them in the door. It’s the only thing you can do to “compete.” And, since you (the bad tradeline company) know that you’re not really going to do the job in the first place, it just doesn’t matter because any money you get is more than zero. 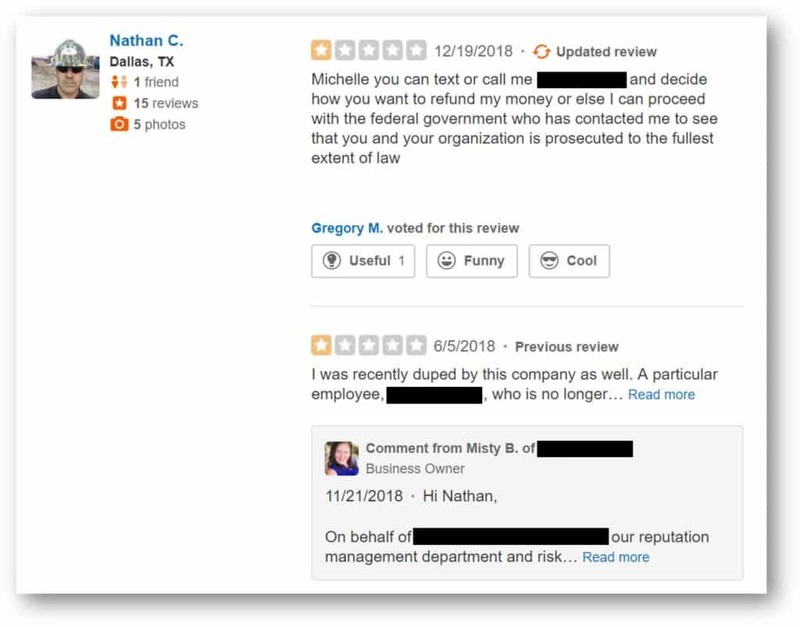 The client’s recourse is a review online, which doesn’t matter to a scammer. We’ll explain in our “best tradeline companies” article. This is what’s happening in the trade line industry today. This is the biggest hazard you face. So, what do you do? Avoid anyone that lacks a website, business or any brand recognition (because they can just get a new google voice number and craigslist ad after they take your money). Avoid working with anyone who hasn’t been in the industry for at least five years. You can look up their business records or their whois records for their domain. Avoid anyone who tries to get your business based on price alone and does not discuss your credit goals and your credit issues first. Get on the phone with everyone you intend to work with; do not work with them if they feel evasive, salesy, or lack credit expertise. So, now that you’ve narrowed down who not to work with and found someone you do want to work with, how do you get the best deal? The answer is simple. Ask for a good deal. No, I’m not joking. If a tradeline company has a legitimate consumer on the line, they will work with you on price. In addition, if you’re easy to work with and prepared to handle all the documents and agreements, expect reduced prices. Tradelines are accounts that appear on your credit report. Tradelines for credit improvement is seasoned tradelines. 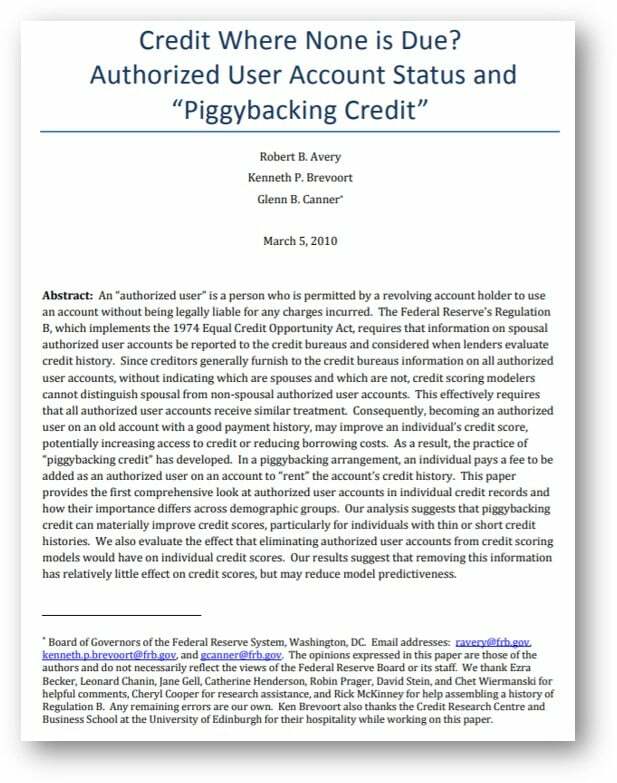 An authorized user for credit is piggybacking. According to the Federal Reserve and other sources of legitimate information, this method is legal and effective. The friend and family approach can backfire. You can buy tradelines from companies but do so only if they are qualified and legitimate. You will want to make sure the company with whom you do business has your goals in mind.